Bayern Munich have announced the signing of highly rated Canadian teenager Alphonso Davies from Vancouver Whitecaps on a deal valid until 30 June 2023. The 17-year-old winger, already a six-time Canada international, will officially join the club in January after having turned 18 on 2 November 2018. "I'm very happy about my transfer to Bayern," Davies said in an official statement on the Bayern website. "As a kid, you dream about this moment and I'm happy it came through. Now it's time to continue working, I have to give everything to make the most of this opportunity." Davies made his MLS debut at the age of 15, becoming the second youngest player in the history of the division behind former USMNT international Freddy Adu, and the first born in the 2000s to play in the league. 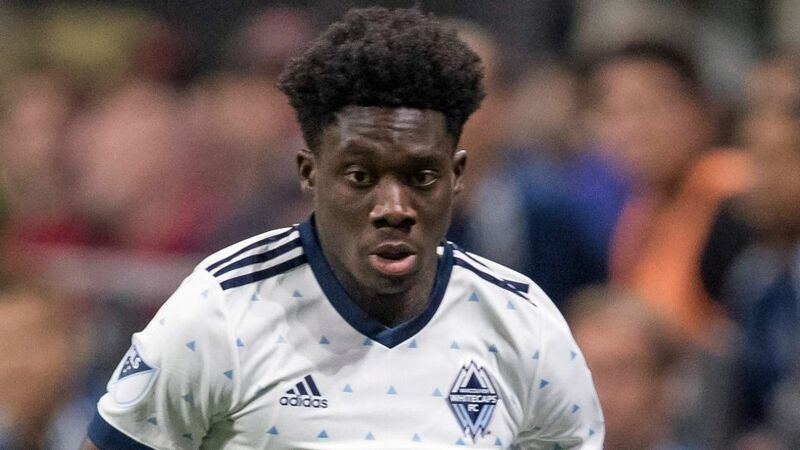 The Ghana-born prodigy, who turns 18 in November, registered three goals and eight assists in 54 MLS appearances for the Whitecaps. He is also the Canada national team's youngest debutant and goalscorer. "Alphonso Davies is a huge talent, said Bayern sporting director Hasan Salihamidzic. "At just 17, he has a bright future ahead of him. Alphonso has many excellent qualities and it comes as no surprise that many other top clubs were after him. I'm delighted he's decided to join Bayern."